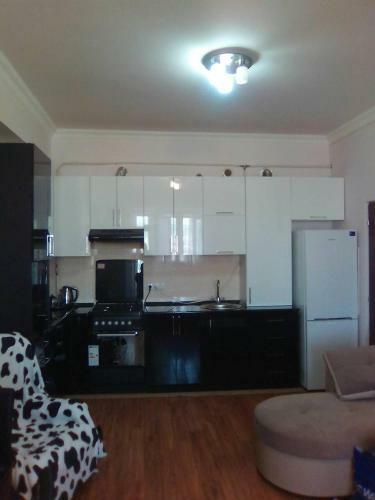 Apartment Argishti17 is conveniently located at Argishti Street 17 in Yerevan in 1.1 km from the centre. You can use a huge range of services: nice garden, internet services, parking lot, beauty bar, mini-market on site, nightclub/DJ, kids playground. Please note you can pay for the accommodation and amenities only in cash. For tourists, comfortable accommodation is offered only one room type - apartment. Each guestroom features amenities such as refrigerator, dining table.